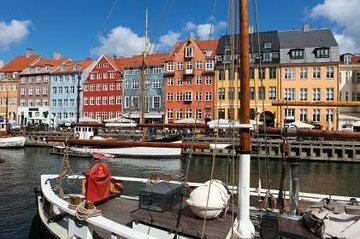 Swap the port for Copenhagen’s most famous sights on this 1.5-hour shore excursion. Travel around the so-called ‘Happy Capital’ by climate-controlled coach, and pass by top landmarks like Christiansborg Palace, the National Museum and Ny Carlsberg Glyptotek. You'll also watch the Changing of the Guard ceremony at Amaliensborg Palace and make a stop at the iconic Little Mermaid statue, arguably the city’s most recognizable attraction. Please note, you will be required to make your own way to the departure point of the tour. Once again we did not get to do this tour because of bad weather and docking late in evening and leaving next morning for home.. Very disappointed but man does not control the weather. Not impressed with this tour, took us ages to find the bus. Said it would take an half an hour walk from port to coach. Perhaps if you know where you are going. Took us more than an hour and eventually got into a taxi to take us to pick up point and even then the city hall is huge therefore did not know which side to get bus. Quite disappointed with this tour.